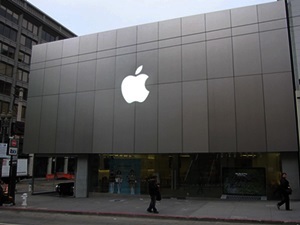 US technology giant Apple is looking to recruit new employees for its operations in the UAE.As of this month, the tech giant has posted 18 positions on the careers page of its official website, with roles ranging from store manager, inventory specialist to business manager. Candidates being sought after are those with strong communication skills, ability to drive positive customer experiences and strong interest in technology, particularly Apple products. Some roles prefer applicants who are fluent in English, although bilingual skills have not been specified. Desired education degrees can vary from one position to another, with some roles requiring graduates of business administration, economics or engineering. In October 2015, the company marked its official foray into the Middle East market with the opening of two Apple stores in Dubai and Abu Dhabi. Subsequently, in June 2016, two more Apple shops, said to be the largest in any travel retail in the world, opened in Terminal 3 of Dubai airport. Recruitment specialists had earlier said that companies in the UAE continue to show a strong demand for new tech professionals. Cooper & Fitch, in its February 2017 report, had said that many organizations are now moving towards cloud technology, hence the need for professionals with technical and commercial experience in the area. The introduction of value-added tax (VAT) is another key driver. “There remains a very strong talent pool of professionals in the Middle East, however, as we see developments in technology and taxation laws, there is a real demand to relocate professionals with a niche areas of expertise to the region,” the report stated. The Monster Employment Index showed that online recruitment for companies in the information and technology and telecommunications industry increased by 6 per cent in December 2016 compared to a year earlier.